Our venues and our movie screens provide you access to impactful advertising that targets an engaged audience. 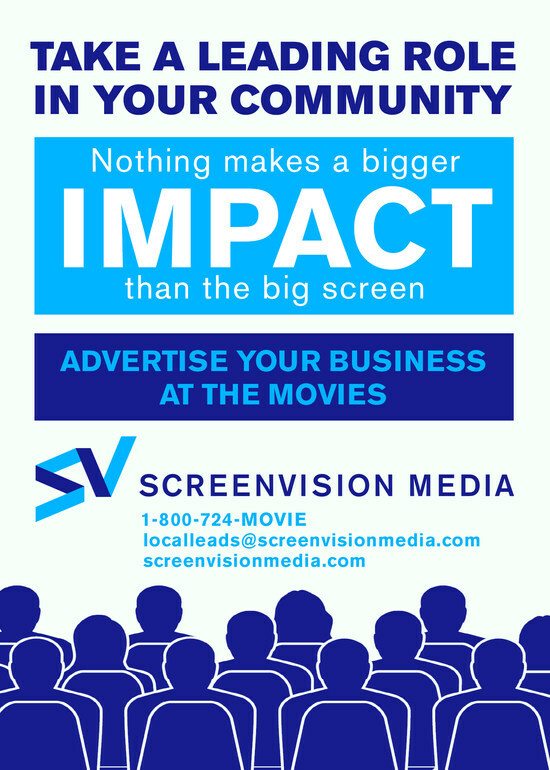 Your business can benefit from the high traffic that movies playing on our screens generate. Find out how we can work together to make your message a star. We are also always open to opportunities for cross promotions and marketing partnerships with local businesses.